Language and communication disorders affect about 7% of children, affecting their social and educational development and their future lives. For their families and for society, this presents significant challenges, which research from City University London is helping to tackle. Already influencing clinical and educational policy and practice, it is also helping children and their families to communicate better and look forward to a brighter future. There are many reasons why children's language may not develop as expected, from difficulties with words to social impairments like autistic spectrum disorders (ASD). Deaf children are at risk of language disorder being mistakenly attributed to their hearing disorder, while secondary school children find communication difficulties make new academic and social demands even harder. 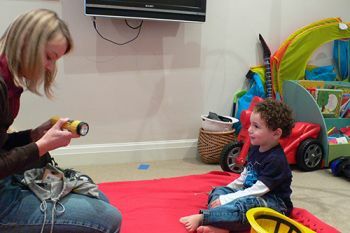 Concerns have increased since the Government-commissioned 2008 Bercow report into services for children with speech, language and communication needs (SLCN). Research in Language and Communication Science has been a major strength at City for more than 25 years. The team includes Professors Shula Chiat and Penny Roy, specialising in pre-school; Dr Rosalind Herman and Professor Gary Morgan working with deaf children; and Professor Victoria Joffe and Dr Nicola Botting, focusing on older children and young people. Research conducted by Professors Chiat and Roy has led to two significant, proven tests of early skills. They provide crucial new evidence for clinicians identifying children who need support and what support they need. The Early Sociocognitive Battery (ESB) test is a strong indicator of long-term problems with social communication and risk of ASD, while the Preschool Repetition Test (PSRep) reveals potentially shorter-term problems. Their impact is demonstrated by increasing use in research and requests for presentations and training across the UK and beyond (including Warsaw and Copenhagen). 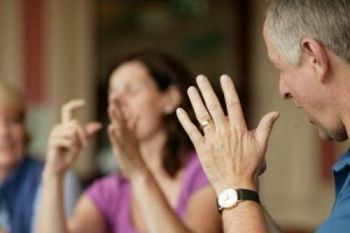 Pioneering research by Dr Herman and Professor Morgan (in collaboration with Professor Bencie Woll) has laid the foundations for diagnosing language disorders in the deaf population, establishing typical ages and stages of development in British Sign Language (BSL) and producing effective assessments. Working with the National Deaf Children's Society (NDCS), the team has also developed and evaluated a new resource for families, the Family Sign Language Curriculum. Parents all over the UK have taken this highly sought-after course and a 2011 evaluation showed significant language gains for their children. Professor Joffe and Dr Botting's research focuses on children at secondary school, exposing the scale and repercussions of language difficulties. Professor Joffe's Enhancing Language and Communication in Secondary Schools (ELCISS) project and Dr Botting's collaborative longitudinal research following 200 young people from 7 to 23 years of age have both highlighted links with social, emotional and behavioural difficulties, and a need for appropriate resources. Professor Joffe's work has addressed this with two new programmes focusing on storytelling and vocabulary enrichment. Government, professional and voluntary bodies, including the Royal College of Speech and Language Therapists (RCSLT) and children's communication charity I CAN, have drawn on City's research to inform policy and practice. It has also influenced Government promotion of support in schools. ELCISS was praised in the House of Commons and featured in Government reports, and Professor Joffe has gained national recognition, addressing the All Party Parliamentary Group on SCLN, advising the Communication Trust and playing a key role in the RCSLT. The research is directly shaping policy and practice both nationally and internationally. More importantly, however, it is having a clear impact on children with SLCN and their families, enabling funding to effectively improve the lives of the people tackling these challenges every day. All research in this area has been funded by The Economic and Social Research Council, the Nuffield Foundation, the voluntary sector and local authorities.